The Peterborough Regional Farmers' Market prioritizes prepared food vendors who use locally grown or produced items in their food preparations. As farmers, we feel lucky to be sharing our market with a host of incredibly talented chefs and food artisans who are committed to a strong local food and agricultural system. I only bake dedicated gluten free baked goods, no cross contamination. It is very important that someone as serious as a celiac can enjoy treats like our grandmother's made, that are gluten free. Products: Gluten free Tarts, muffins, squares, cupcakes, scones, cookies, quiche, perogies, lasagna, mac and cheese, cabbage rolls, shepherd pie and more that are all gluten free. Products: Kombucha (fermented tea) by the biodegradable cup/glass stubby/refillable glass growler. We are a small family owned and operated business. Our copper domed pizza oven reaches temperature of 900 degrees. Our dough and are sauces are made from scratch. Cooked in the ancient manner using Maple, Oak and Apple wood to fuel our oven. When burned, these woods produce an intense, consistent heat, while imparting a sumptuous aroma. The intense heat of burning woods allows us to retain the fresh and vibrant flavours of minimally stressed ingredients while still achieving a crispy crust that has the perfect amount of char and character. We can cook a pie in about ninety seconds because it’s hot… C’est Chaud. We use local produce on our pizza pies, Seasonality dictates our menu! Product: Wood fired pizza. Our copper domed pizza oven cooks at a temperature of 800 degrees . Our dough and are sauces are made from scratch. We use local produce on our pizzas. For example "Joy Pesto" using Shizea Garden nettles, strawberries from McLean Berry Farm, beets from Chick-a-biddy Acres and navet from Circle Organic. What is in season dictates the menu! Locally produced fermented, ProBiotic fruits, vegetables, beans, and a variety of fermented beverages, as well as a variety of locally-grown SCOBY starter kits for making your own Dairy kefir, water kefir, Kombucha and Jun tea. Our desire is to serve you with authentic "Home Style" South Indian food, tingling your taste buds leaving you asking for more. Fresh quality ingredients are paired with subtle blend of aromatic South Indian spices and served with love and pride for our food! All of our recipes come from our ancestors and we take pride in our dishes. If we can't make it from scratch, we won't serve it! We are a small rural bakery that makes award winning Buttertarts, Pies and Meat Pies. Herbal Medicinal Tisane, hand-blended with local botanicals, berries, herbs, sweetgrass. Our Medicinal Tisanes do what they say! Natural Health Deliciously Served. Elixir is full vegan vegetarian, serving: health smoothies, health elixirs, no-sugar salad dressings with local herbs, vegan soups, vegetarian summer salads, vegan treats and granola bars. Proud to have gluten-free, dairy-free and sugar free health foods. Local business since 2011 that provides delicious home made fudge with over 100 varieties. Three top flavours: maple, apple cinnamon butter and strawberry cream. Also, providing delicious home made / deep fried perogies (cheese and potato). Fresh Urban Plate is a catering company and a prepared food retailer in Peterborough since 2010. We retail global foods and use local farmers and food purveyors to create our menus. Products: Vegan, vegetarian salads. Grilled or braised meats such as salmon, pulled pork, BBQ beef brisket and jerk chicken. Grilled sandwiches. salad dressings. Muffins, brownies, vegan cookies. We are a reseller of fine quality smoked fish, both lake trout and whitefish, harvested wild from the waters of Northern Lake Huron by our supplier, Purvis Fisheries. They are located on the south shore of Manitoulin Island and as a family business have been sustainably harvesting and smoking freshwater fish since 1882. We have been receiving their fresh caught and smoked fish on a weekly basis for sale in the market for over five years and we built a solid client base who appreciate these unique quality products unavailable anywhere else in Peterborough and the surrounding area. We strongly believe in supporting Ontario freshwater fisheries and are proud to have introduced Purvis Fisheries products to local markets. On a regular basis, we sell Plain Smoked Lake Trout, Lemon Pepper Smoked Lake Trout and Plain Smoked Whitefish. All our products come vacuum packed to retain the freshness and taste. The Purvis family adheres to a strict quality control regime as set out by the Canadian Food Inspection Agency. 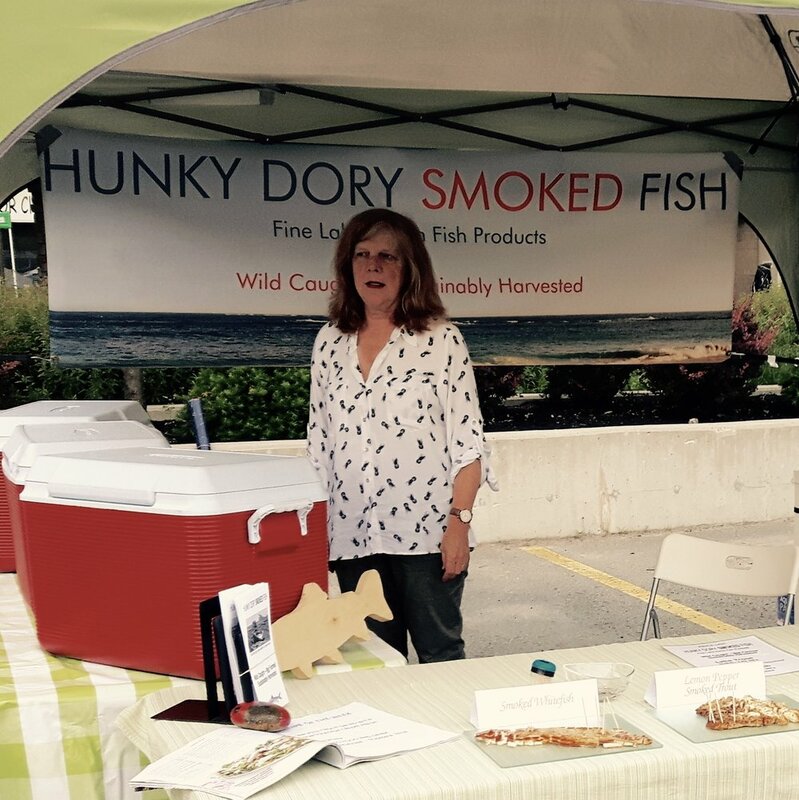 Come visit us at the Peterborough Regional Farmers Market and taste some samples while we tell you more about our products and the Hunky Dory story! Products: Smoked Laketrout, Smoked Whitefish, Smoked Lemon Pepper Laketrout. We are two friends, both stay at home parents, with a dream to open a family focused cafe and are launching at the Peterborough Regional Farmers Market. We offer quality coffee and espresso beverages and simple, delicious, primarily plant-based fare for the whole family, featuring local and seasonal ingredients. 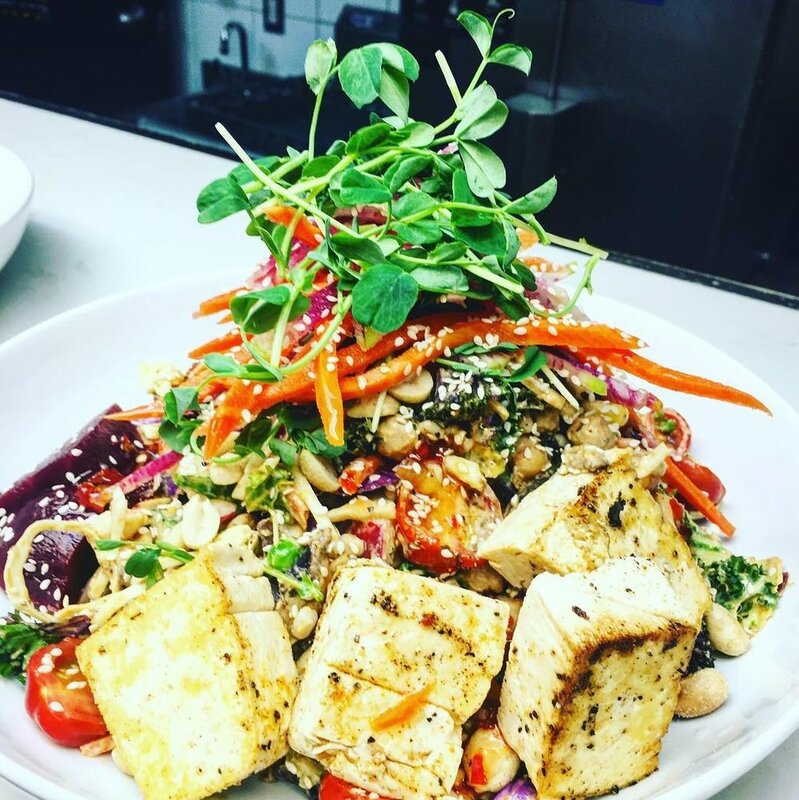 We not only focus on prioritizing quality and taste, but nutrition and sustainability, always attempting to make delicious food healthier for you and the environment. Products: Breakfast sandwiches, pastries, beverages, vegan kids snacks and beverages (e.g., cold brewed, iced tea, iced espresso drinks, chocolate cashew milk, etc). We are a local restaurant and catering business that offers authentic Mexican food - that Mexican's eat every day. We prepare all of our food from scratch in our own kitchen. We believe in real food, made fresh, with the best ingredients. We try to use as many local ingredients as possible to give you the best quality food at a reasonable price. 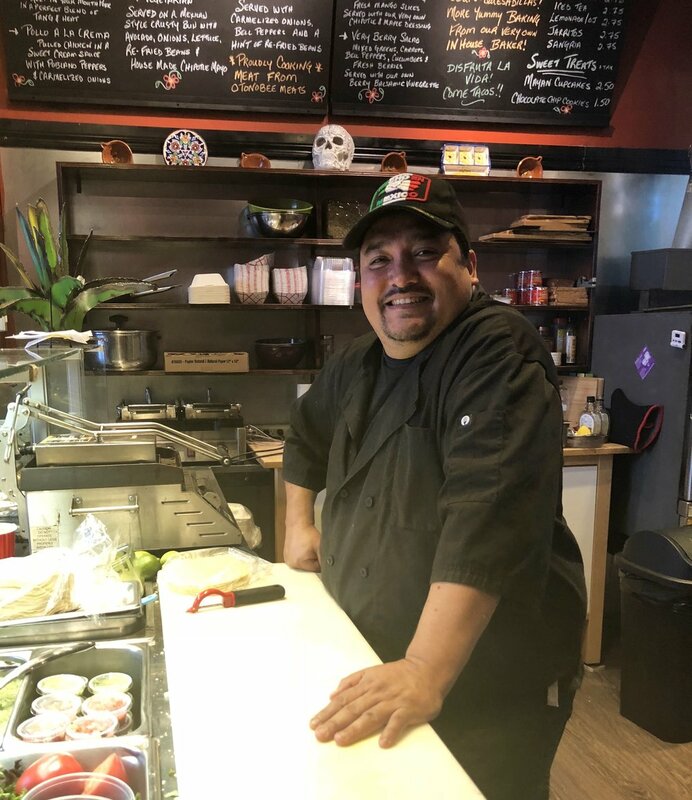 Products: Breakfast burritos, Mexican Tacos, Elotes & Eskites - Mexican style street corn, fresh Mexican salsas and dips, Mexican baking, Tamales, Mexican soups, Tortas - Mexican sandwiches. 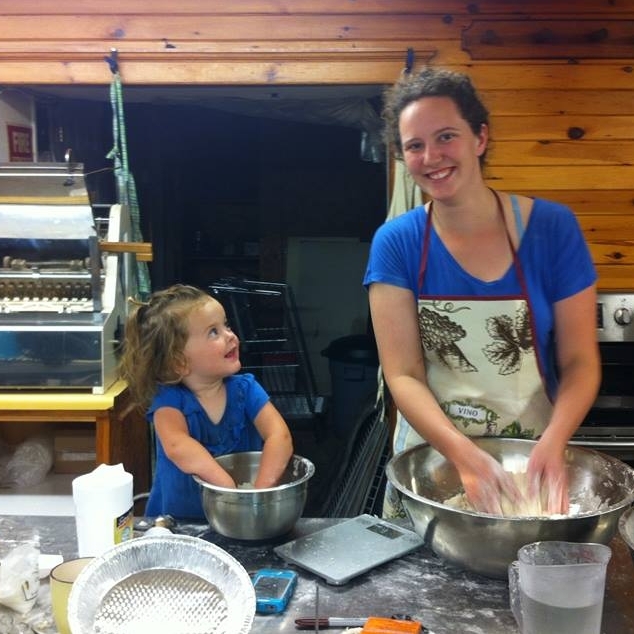 Leahy Baking offers handmade baked goods produced from quality ingredients. Using old recipes from generations past, customers can be assured that all Leahy Baking products are made from scratch without the use of preservatives. Do you miss the baked goods from Towns and Leahy Mercantile and Deli? 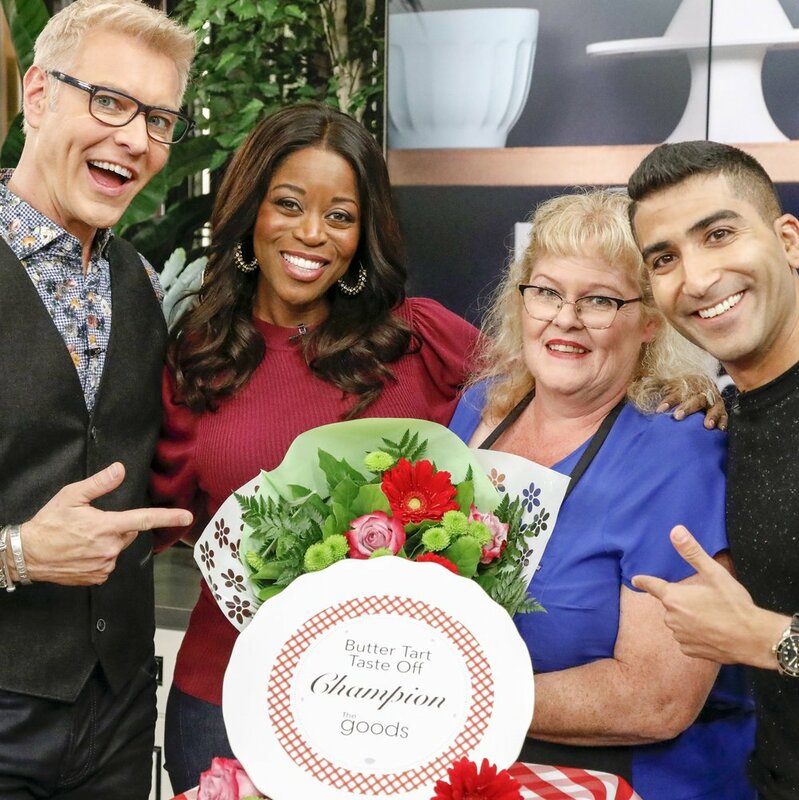 Well Clara Leahy, the head baker from Towns and Leahy is leading this new Leahy Baking venture so you can find your old favourites and make new ones. Clara will be building up her local fruit stores this year by picking, preparing, and freezing local fruit as they come in season so Leahy Baking will be able to offer local fruit desserts in the coming year. Leahy Baking is excited to be starting this new venture, offering fresh handmade desserts from scratch. Baking made from old recipes and quality ingredients never goes out of style! Products: Strawberry Rhubarb Pie, Apple Pie, Raspberry Pie, Blueberry Pie, Peach Pie, Cherry Pie, Original Tea Biscuits, Strawberry Tea Biscuits, Blueberry Lemon Tea Biscuits, Raspberry White Chocolate Tea Biscuits, Chocolate Tea Biscuits, Apple Cinnamon Tea Biscuits, White Chocolate Skor Tea Biscuits, Traditional Brownies with homemade butter icing, Cowboy Cookies, Tuxedo Cookies, Fruit Tarts (various). This is a joint venture between to local bakeries: Stickling's & One Little Bakery. For over 75 years Stickling’s Bakery has been known for its rustic, organic sourdough breads, which are baked according to traditional family recipes that have been passed down from one generation to the next. By using the same time-tested bread recipes we, the third generation, are following the food steps of our ancestors and continuing the tradition of baking delicious, wholesome breads for our local community. One Little Bakery, By Mickael Durand (AKA Mickael's Cafe Librairie, in Lindsay) is a taste of France right here in the Kawarthas. Mickaël grew up with 3 brothers in Chateaugiron, France, next to a boulangerie (bakery). He became interested in baking at a very young age. In 2005 Mickaël visited Quebec, and then returned to Canada the next year to work in a bakery and later ended up baking at a summer camp in Haliburton where he met the love of his life, Jane. Mickaël’s decided to return to baking in 2015 and in 2016 after opening two bakeries in France with one of his brothers, he opened a small cafe bakery and French Book Store in Linday. Freshness is Mickael’s first priority. Everything is baked that day. Everything is made with a true passion for baking and a drive to excel! Local home cooking, desserts and breads. Products: Breads , scones , cookies , baked goods , salads , sandwiches, take away meals , hand pies , quiche , whole pies ( sweet and savoury).